Registration has been closed. If you are interested in a late registration, please contact us at germanschoolofmadison@gmail.com for more information. Please see below for more information about each class. All of our classes are taught in German. Classes for school-age children follow the Common European Framework of Reference for Languages. Initial student placement is based on age and school grade (the grade they enter in Fall 2018). To accommodate different proficiency levels, we try to keep our class size between 4 and 15 students. Several of our classes are designed around a two-year curriculum; students will typically stay in these classes for two years. All classes are taught at Lake Edge United Church of Christ on Madison’s East Side (4200 Buckeye Road). Classes are taught 30 times/year, no classes during school breaks (MMSD school district). Enrollment is for the whole school year. First day of school: Sep. 8, 2018. Entchen/Ducklings (for pre-school children, 3-5 years): In these classes students are introduced to the German language and culture in a playful, age-appropriate way, through games, songs, and story-telling. Classes are 60 minutes long. Class time: Saturdays, 2:00-3:00 p.m.
Spatzen / Sparrows (for pre-school children, 3-5 years): In these classes students with more German experience further their grasp of German language and culture in a playful, age-appropriate way, through games, songs, and story-telling. Classes are 60 minutes long. Class time: Saturdays, 3:15 – 4:15 p.m.
Schwalben/Swallows (for children entering 1st or 2nd grade): This class focuses on language comprehension and speaking. Children expand their vocabulary and range of expression and are introduced to reading and writing in German (from word to sentence level). Classes are 135 minutes long (three 45-min periods with two 15-min breaks). A textbook (to be returned at the end of school year) and a workbook (for students to keep) are provided. Language beginners are accommodated. 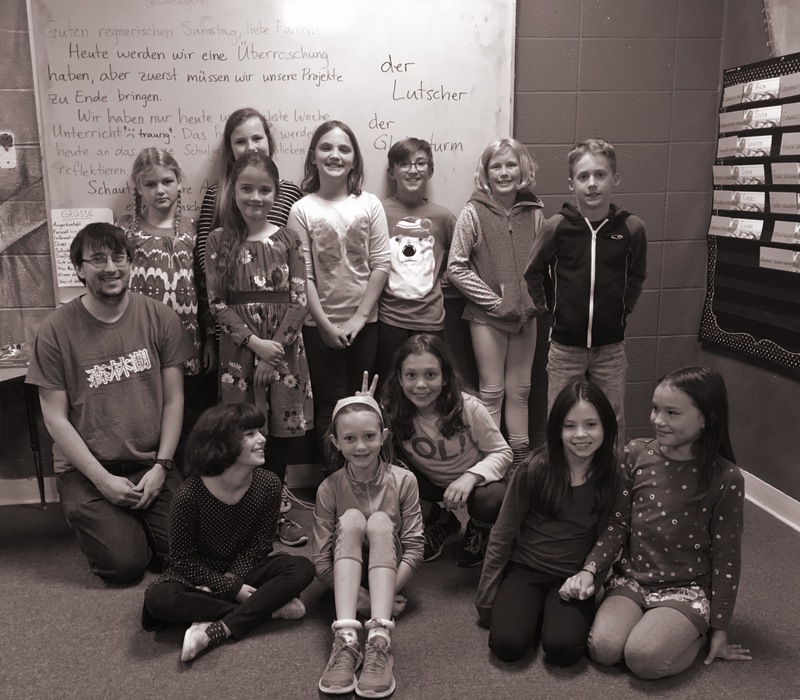 Falken/Falcons (for children entering 3rd or 4th grade): Students in this class continue to expand their communicative abilities in German and their knowledge of grammar and spelling. They learn to write short texts in German and are also introduced to topics relevant to German culture. At the end of the year, Falken have the opportunity to take a proficiency exam at the A1 level according to the Common European Framework of Reference for Languages at no additional cost. Classes are 135 minutes long (three 45-min periods with two 15-min breaks). A textbook (to be returned at the end of school year) and a workbook (for students to keep) are provided. Language beginners are accommodated. Please note: The following two classes are not appropriate for children with no prior knowledge of German. 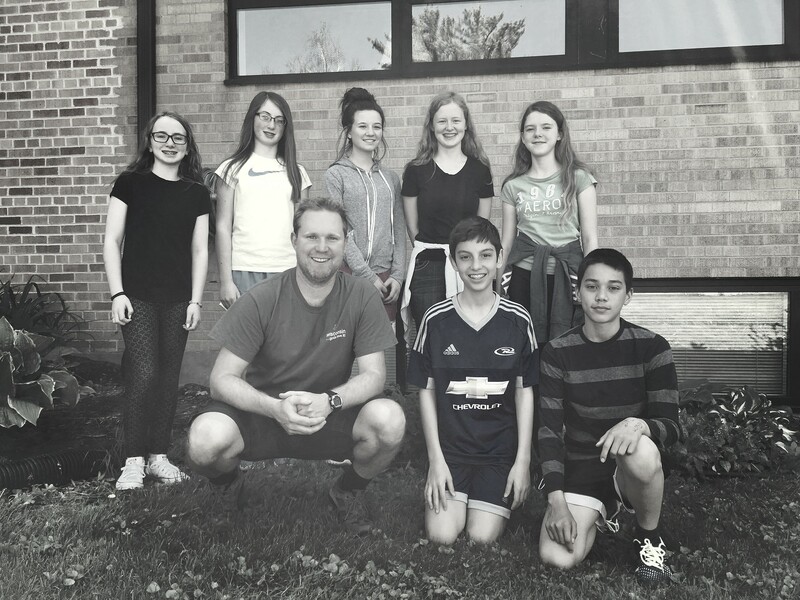 If you are interested in German language classes for your child(ren) in 5th-8th grade, please contact us and we will discuss options for a bridging arrangement. Eulen/Owls (for children entering 5th or 6th grade): This class deepens students’ understanding of German grammar and culture. Students will read short books and write short essays. A textbook (to be returned at the end of school year) and a workbook (for students to keep) are provided. Möwen/Seagulls (for children entering 7th or 8th grade): This class for middle schoolers prepares students for the A2 level certification of proficiency in German according to the Common European Framework of Reference for Languages. Classes are 135 minutes long (three 45-min periods with two 15-min breaks). A textbook (to be returned at the end of school year) and a workbook (for students to keep) are provided. For adults: Conversational German 1: This class is suitable for learners with little to no knowledge of German. Students will work to develop skills in listening, speaking, reading, and writing. The class works with thematic units focused on everyday conversational topics which slowly introduce learners to relevant vocabulary and grammar. Tuition includes the cost of a textbook and workbook, both of which students keep at the end of the year. Classes are 75 minutes long. Class time: Saturdays, 2:00-3:15 p.m.
For adults: Conversational German 3: The level 3 class is suitable for learners who already have a grasp of basic conversational skills (comfortably at the A2 level of the CEFR) and want to expand their communicative range. This class continues work with short thematic units, which continue to expand vocabulary and complexity of expression. Class time: Saturdays, 3:15-4:45 p.m.
Additionally, we offer summer camps for children entering grades 1-5 and community events throughout the year. At this time, we do not offer organized playgroup sessions for families with very young children. However, we are happy to connect German-speaking families with young children with each other. Please send us an inquiry via e-mail, and we will forward it to our Spielgruppe contacts.